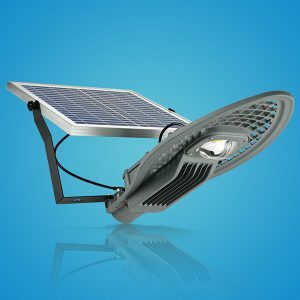 Solar street lights are powered by solar panels or photovoltaic panels that are sometimes placed on the top of the lighting structure or ingrained inside the pole. The rechargeable battery of these panels helps power the street lamp during the night as well. With the growing concern about depleting natural resources, the world has started turning to renewable sources of energy as a viable option. Solar energy as a green alternative has become even more popular in the recent years with the inception of solar lights compared to solar panels. The solar street light suppliers in Chennai have reported an increase in sales ever since they were introduced in the market. Since solar street lights are not dependent on the utility grids, they are deemed to be more cost effective than any other environment friendly solution. These lights function as wireless lights that work using the energy given off by the sun. The excess energy is stored in renewable batteries placed inside the solar lights to help them continue functioning at night. They require less maintenance compared to traditional street lights, making them a favorite among local city planners. Interestingly, solar street lights can help reduce your city’s carbon footprint helping the city play its part in saving the planet from further damage. · Solar lights are the number one choice if you are looking for greener solutions. They do not run on electrical power and thereby reduce your electricity consumption. · They can be easily installed and moved to any location as per your requirement. Since each individual solar street light is devoid of any wires and has a renewable battery placed inside it, moving it around is extremely easy. · Since street lights need to give off only dim lights that are enough to light the road or any public area, solar street lights are a great choice. The power of most solar lights is limited and work well with 12VDC power. · Utility bills go down since these solar lights do not use electricity to impart light. · In a bid to move towards a greener planet, countries all over the world are passing bills and laws to make solar lights more cost effective to the general public. This will help reduce the electricity of the country on the whole as well. 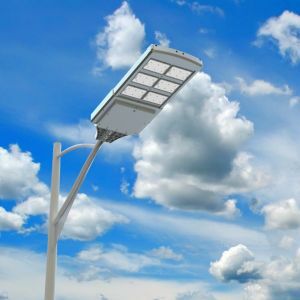 · Since each solar street light functions individually from one another, it makes it suitable for different applications like billboards, signs, etc. · The lower voltage on which solar street lights work on is deemed safe and are less hazardous than AC lighting. · The ability of solar street lights to use LEDS to provide directional lighting makes it a practical choice for street lighting. · Solar street lights are available in a variety of designs and sizes making it easy to incorporate them into any architectural theme. 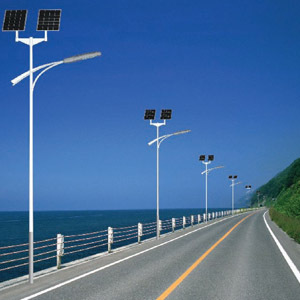 · The cheaper solar street lights are usually not up to standard and do not last for a long time. They will also be affected by any extreme weather changes in the area. · Since solar lights work using the power stored in the renewable batteries placed inside the light, it is essential to have a large battery bank. You will need to check the capacity of the battery bank to ensure that it will last till daylight comes. · Some solar street lights offer blue light which is not very flattering to most landscapes. It can even give off an eerie look, making the entire area look a bit spooky. · As winter approaches, the days tend to become shorter. The size of the solar panels used in the solar street lights will vary depending on how many hours of sunlight the area can expect during winter. At the end of the day, solar lights are a great way of reducing the carbon footprint thought the world. It has become increasingly important for people to start looking at greener alternatives. This is the only way the next generation can be assured of a healthy planet as their inheritance.